What is the Attorney General Pennsylvania? What does the Attorney General of Pennsylvania do? The Attorney General Pennsylvania is an independent office headed by the elected individual. The office is responsible for prosecuting crimes that were originally prosecuted by the state, including all acts of organized crime, public corruption and consumer protection issues. 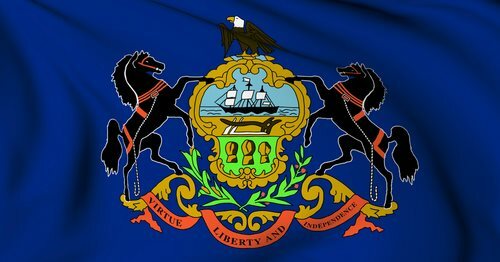 The Attorney General of Pennsylvania represents the state in all actions brought by or against the state; the Attorney General Pennsylvania will also review all proposed rules and regulations by the state’s various government agencies. The Attorney General Pennsylvania also serves as a member of the Board of Pardons, the Hazardous Substances Transportation Board, the Board of Finance and Revenue, the join Committee on Documents, the Pennsylvania Commission on Crime and Delinquency, the Civil Disorder Commission and the Municipal Police Officers Education and Training Commission. William Ryan is the acting Attorney General of Pennsylvania. Ryan is a graduate of Saint Joseph’s University in Philadelphia. After receiving his Bachelor’s Degree, Ryan earned his J.D. from the Villanova University Law School. William Ryan assumed officer of Attorney General Pennsylvania when Tom Corbett resigned the post to take office as the state’s Governor. Before assuming office, Ryan was first deputy Attorney General and served as the District Attorney for Delaware County—Ryan has worked in the Attorney’s General office since 1997. Ryan will hold office until his nominated successor, Linda Kelly, is formally confirmed by the Pennsylvania State’s Senate. The Office of the Pennsylvania Attorney General is located on the 16th Floor of Strawberry Square in Harrisburg, PA 17120. The Office may be reached by phone at 717-787-3391 and by fax at 717-787-8242. If you need legal advice and assistance, contact Pennsylvania lawyers.